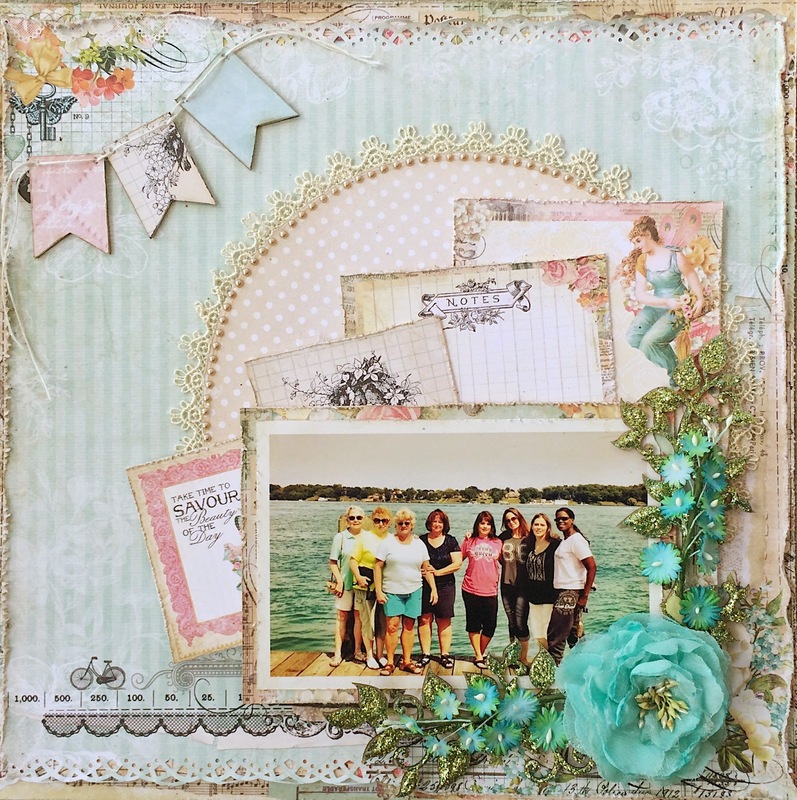 For this layout I used the "Invitation" and "Bouquet" papers from the Montage collection. 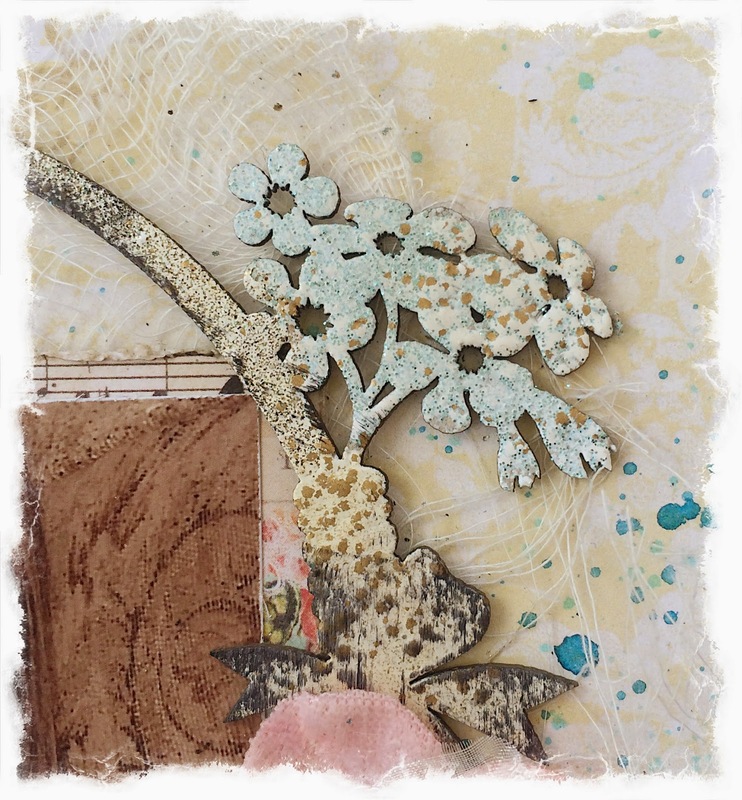 In this closeup, you can see part of the JEWELED FRAME chipboard. I treated this by using several embossing powders, and randomly touching it with an archival ink pad. 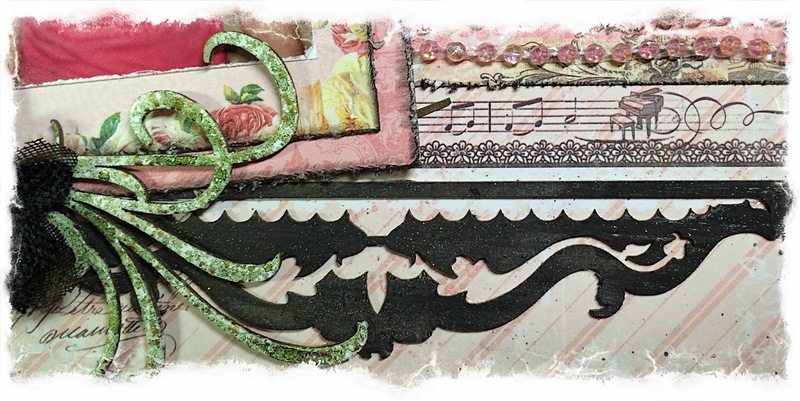 On the edges of the layout, I placed some TURKISH BITS that I embossed. 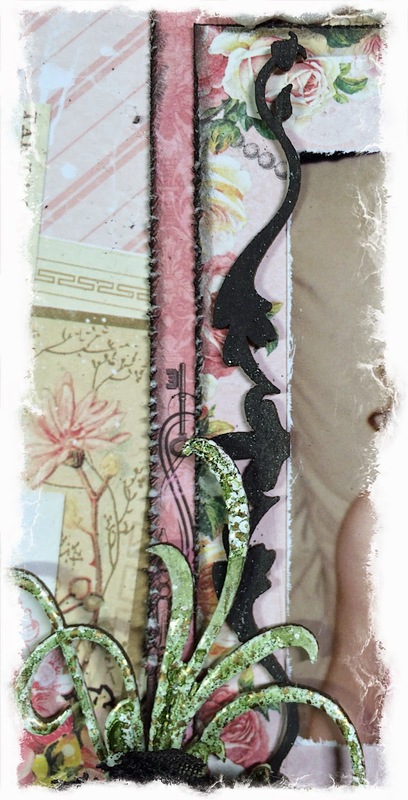 I also used more embossing powder to treat the MINI FLOURISHES. 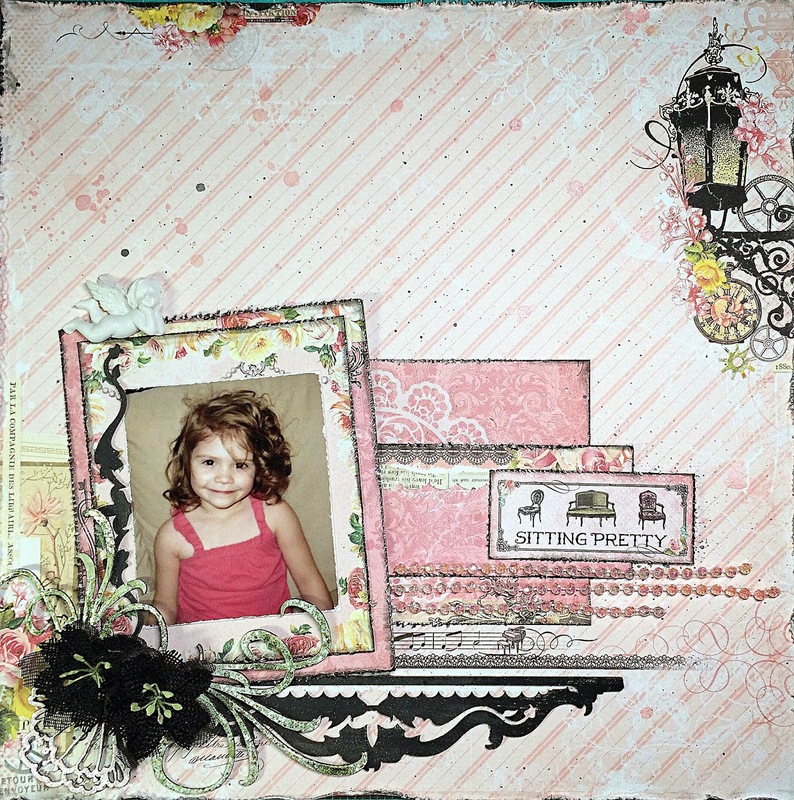 For this layout I used "Bouquet," "Calling Cards," and "Now and Then" from the Montage paper collection. 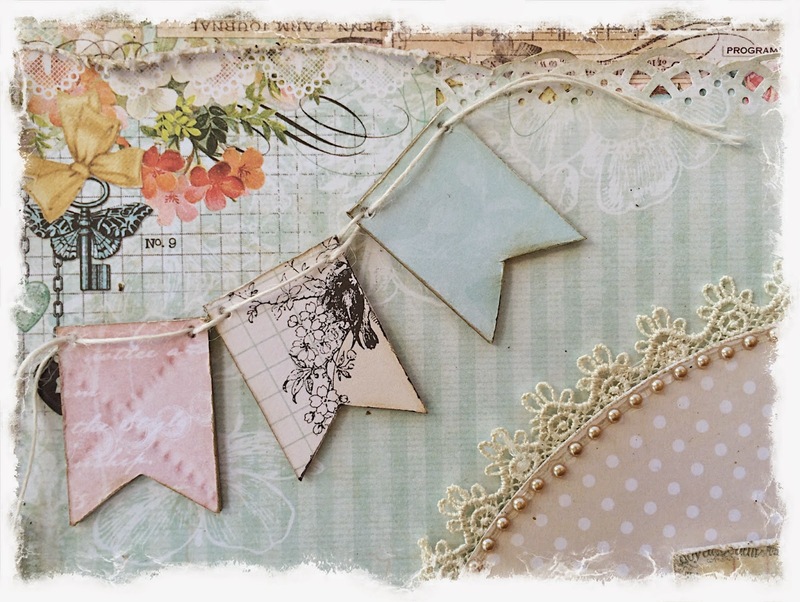 I covered three PARTY FLAGS with various Montage papers, then threaded the holes with jute twine. For this LEAFY BOUGH, I cut it in two to wrok better with my design. I left it "naked" then used glitter glue and loose glitter on top of it and used a heat gun until it bubbled. 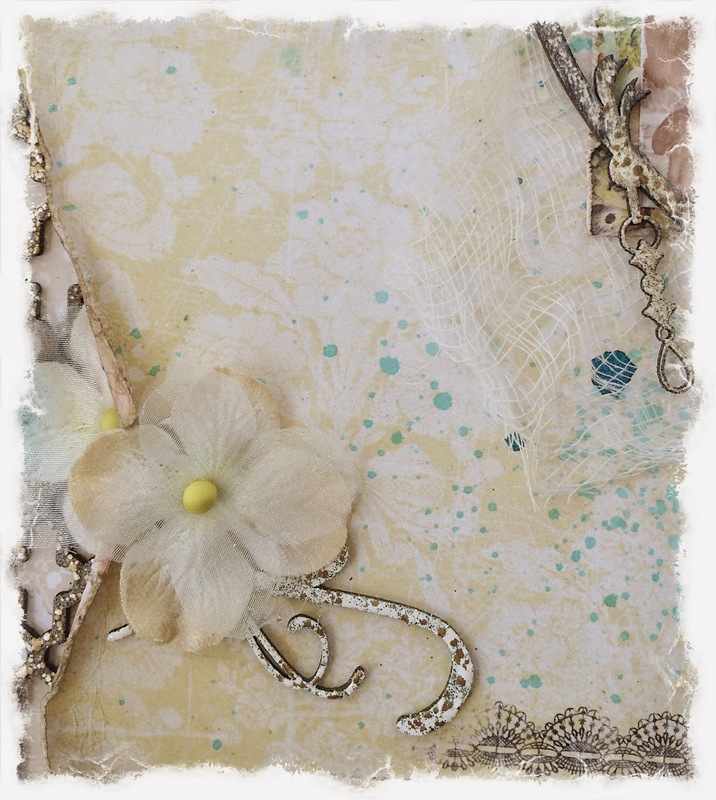 From the Montage collection, I used "Calling Cards," "Wisdom," "Invitation," and "Bouquet" papers. 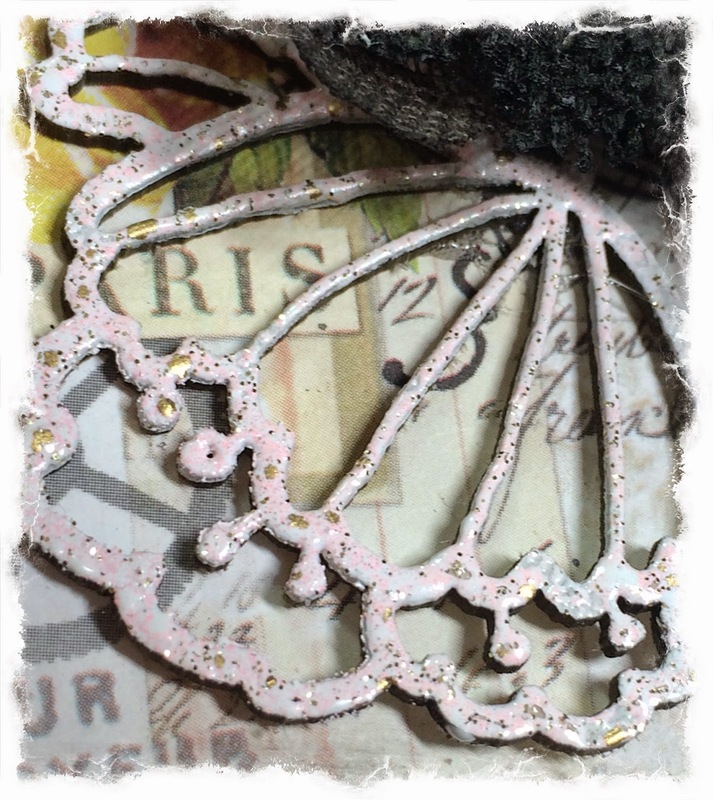 I cut a piece from GINGER'S POPPIES, and embossed it with a vintage pink embossing powder. I painted the ORNATE SHELF with black milk paint which gave it a matte finish. 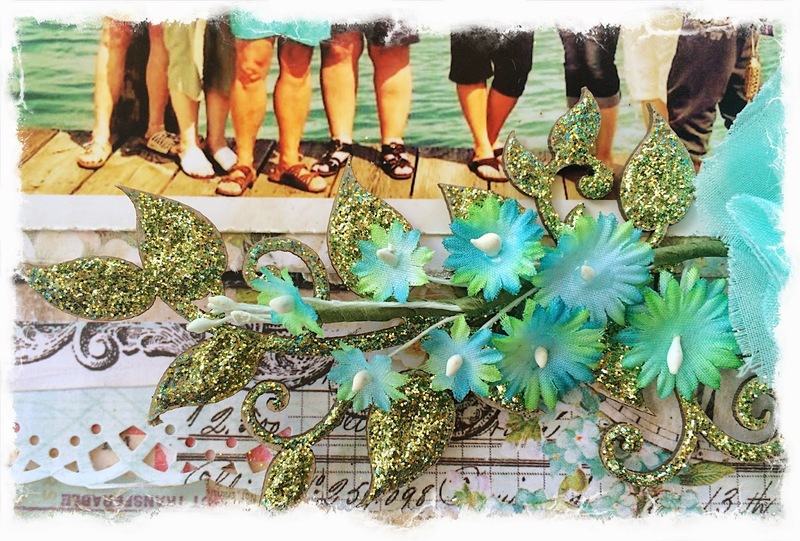 I took the inserts of the ORNATE SHELF out of the main piece, and used one of them for an accent piece on the side of the photo. 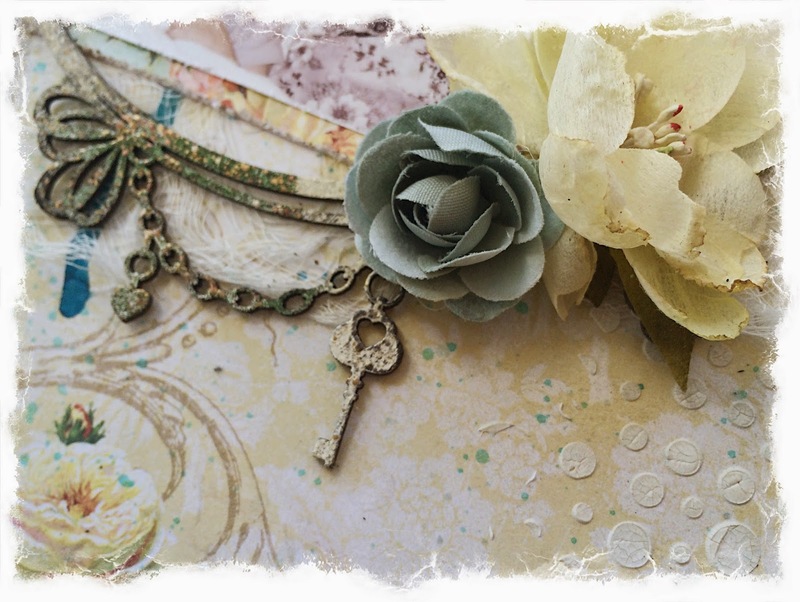 And, I used the MINI FLOURISHES again, this time using gesso, embossing powders, and a green mist for this shabby chic finish. Thanks for checking out my projects today!